At Howard Family Law, LLC, Your Family is Our Priority. Howard Family Law, LLC practices exclusively in the area of family law, providing you with reliable, personalized representation. Your case and family issue are our priority, and it is vital to the success of your case that we make any and all decisions together. Call (952) 224-9410 to learn more. 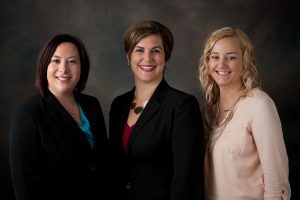 Having represented Eagan and Dakota County residents for over a decade, our attorneys are more than willing to help you and those you love most with divorce cases. Familial disputes involving children are among the most difficult a person can face. If you are in the midst of trying to establish a child custody arrangement, Howard Family Law, LLC can help. Call us today. It is not at all uncommon for one spouse to seek money in order to better care for his or her child. The attorneys at Howard Family Law, LLC have extensive experience helping Eagan families receive financial assistance. Figuring out a parenting time schedule (i.e. visitation plan) that works for all involved is crucial to ensuring that your child/children see both parents as often as possible. Call us today to schedule your free consultation. Howard Family Law, LLC encourages clients to take a cooperative approach in helping prepare your case and, ultimately, helping settle your issue as quickly and inexpensively as possible. It is important that our clients play an active role in the legal process, and we believe that client participation helps us achieve satisfactory results for all involved. To learn more about attorney Lyndsay J. Howard’s philosophy of helping move families forward, please read her message to clients. I hadn’t used an attorney for my divorce, but now that I have worked with Lyndsay, I wish I had known her back then. She was extremely helpful, knowledgeable and made things easy to understand. She definitely knows her stuff and was very cognizant of my time and kept fees down by doing so. I would highly suggest that anyone considering a divorce see Lyndsay first!! When I started this journey that would prove to be one if the most difficult journeys thus far, I wasn’t sure where to start. After meeting with Lyndsay, I felt like I wasn’t alone in this mess and that I had someone who knew the ends & outs of this process on my side. Lyndsay made the process as easy and painless as possible considering the circumstances. She was very knowledgeable and eased my fears throughout. I would highly recommend Lyndsay and her office to anyone in need of a caring, efficient and motivated attorney. Lyndsay was an amazing lawyer, she helped me out tremendously when i was going thru my child support/custody case and fought for what i wanted and what was fair. She was always willing to answer any questions i had no matter what and was always brutally honest with me. She explained everything to me and told me what to expect when we went to court she made an extremley scary time seem not so scary. Without her i dont think i would have had as good of an outcome as i did. I have recommended her several times and will use her in the future if i ever need legal advice. Smart, practical, accessible and careful with my feelings and my funds, Lyndsay Howard is an amazing ally in your legal process. She did not waste my time or my money, had good practical advice, while having no tolerance or patience for nonsense. She did all this while being compassionate and available to me in a confusing and emotionally difficult time. I couldn’t recommend her more highly. Howard Family Law, LLC proudly serves families in the Minnesota cities of Burnsville, Eagan, Farmington, Savage, Lakeville, Rosemount, Apple Valley, and Shakopee as well as other cities in and around Dakota County, Scott County, Hennepin County, Washington County, Ramsey County, and Rice County. Howard Family Law, LLC offers a variety of different family law services for our clients, including legal representation in matters concerning divorce and mediation, child custody, child support, spousal support or maintenance (alimony), adoptions, modifications, and enforcements. We also represent clients in simple or complex high-asset divorce cases.